In the past year I've spent time with a couple of friends from my past. As we were catching up on years' worth of news and developments, talk would turn to my writing. And in a couple of situations, I was asked the same question: Why did you choose to publish under your own name? It's a totally legit question. In college I made no secret that I planned to be an author who potentially wrote in different genres. And if that came to be (the writing in different genres; writing in general was always a given) I knew I'd probably need a pen name or three for branding purposes. Apparently more on my game as a 21-year-old than I am now as a 32-year-old, I talked about these kinds of things at the bar and parties. (I know. I constantly prove how cool I am.) With that back story it makes even more sense why they'd raise this question. Truth is, I'd planned to use a pen name. When I signed up for National Novel Writing Month in November 2010, I chose the username Elle.Chapman for a reason. Maybe Elle Chapman would be my pen name. It wasn't that I hated my name. I actually have a lot of love for my name. My dad liked the name Laura, because it was his grandmother's name. And my mom liked it because, as a little girl, she remembered the most beautiful, put-together woman at her church was Laura, and the name always stuck. I don't even have qualms about my last name. 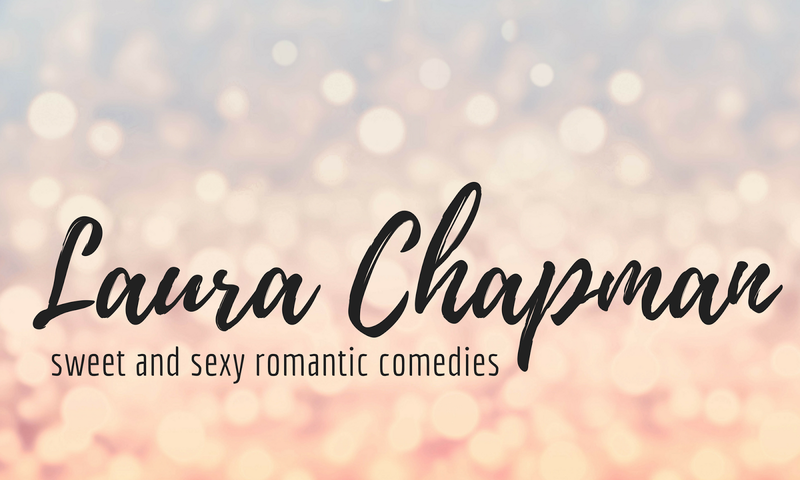 Well, besides being called Laura "Chapwoman" or "Chapstick" by some of the other kids on the playground growing up. It's a perfectly good name. It just didn't (and sometimes still, to my ear, doesn't) have that star power like Nora Roberts or Agatha Christie. There's also the small fact that Laura Chapman is a fairly common name, and I knew I'd never be able to afford to buy out the domain name for laurachapman.com or any of the social media handles. So, while I wrote my first two novels and learned a bit more about the industry, I toyed around with potential names. By the time I started querying agents a year later, I hadn't come up with a pen name I liked. And by the time I found my first publisher a few years later, I'd been blogging under my name. I didn't even think about it when I signed that contract. And so Laura Chapman's book career was born. Like many things in this world, it just happened. There's no great story, not a lot of thought. But now that it's done, I do feel a lot of pride seeing my name on a book cover. I look at it, and I know it's me. Of course, I still fully plan to use a pen name or two down the road when I get my act together and diversify my writing. Hopefully I put a little more thought into it the next time around.